Thank you ! 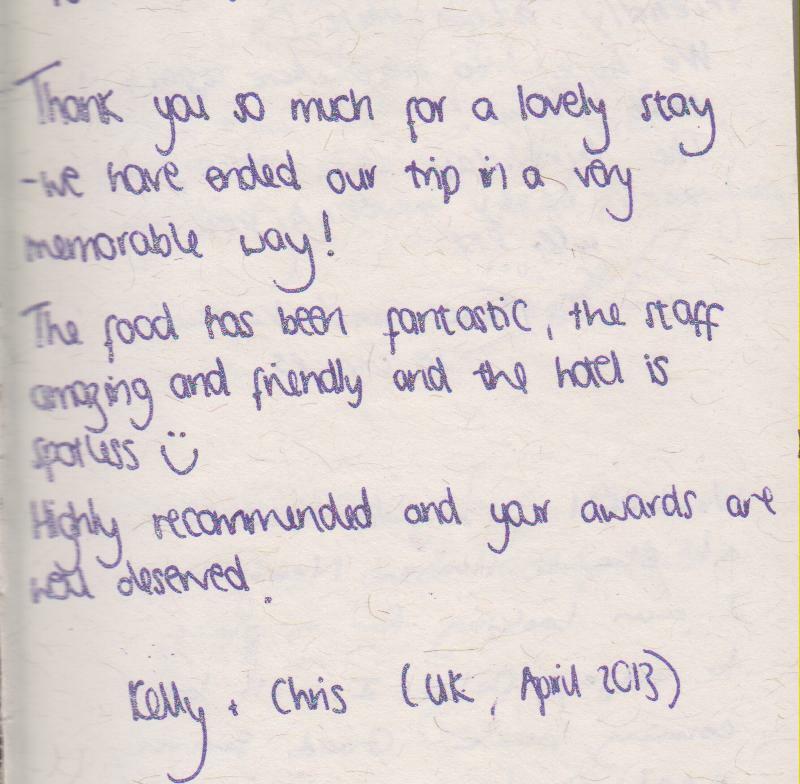 Your comment has made our day ! 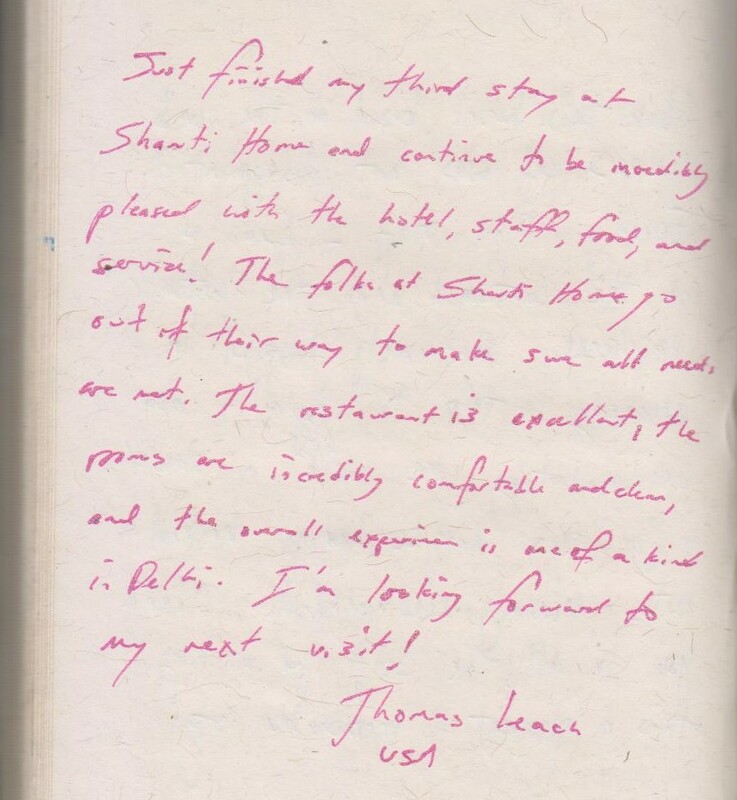 Thanks, Thomas – We love having you with us ! 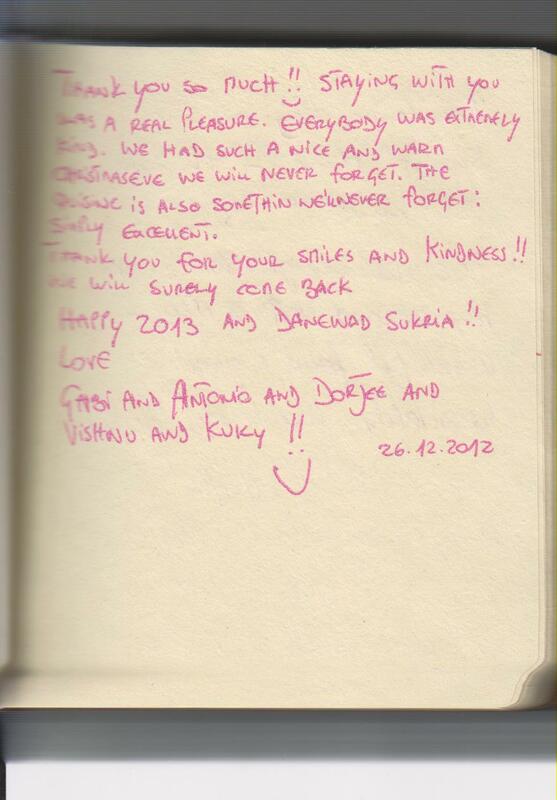 Kelly and Chris, Thank You ! 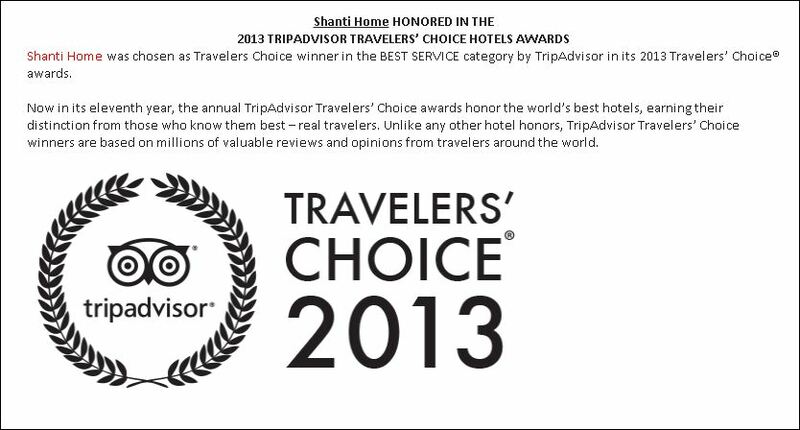 Trip Advisor sends the Awards and Shanti Home celebrates ! 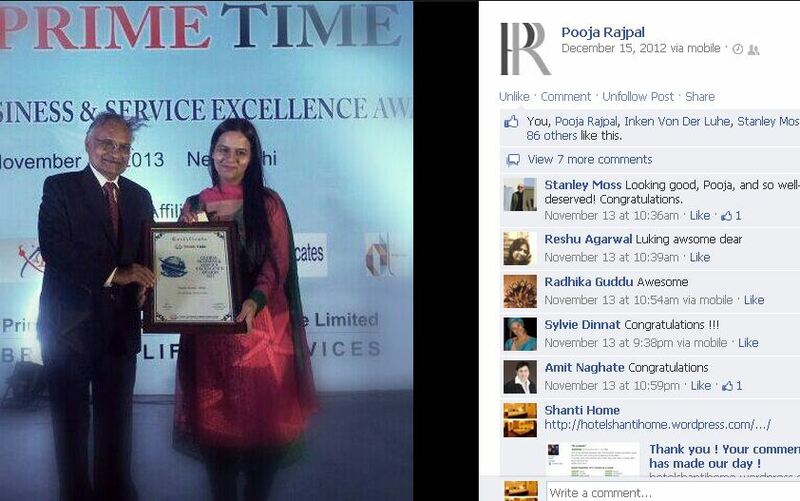 Now the Trip Advisor Travelers’ Choice Award 2013 ! Catch the whole Awards Ceremony here !